Occasionally, if the weather deteriorates during the day a decision has to be taken to send the students and staff home early while roads are still passable. All parents will be informed via InTouch that students are being sent home early, however some parents may not see this message. In the event of this, it would be helpful if students have a contact telephone number where they can reach a parent or another nominated person. Whilst every attempt will be made to organise buses to come early, this is not always possible. Should the weather deteriorate in your area and you are concerned about your child’s journey home, if you decide to collect them from school early do not phone or text them, but come into school, report to Reception and we will locate them for you. This is very important as we need to know who is on site and who has left. 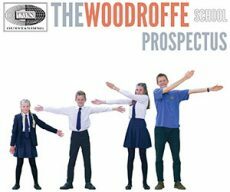 Check the school website www.woodroffe.dorset.sch.uk – details are usually updated by 7:00am. 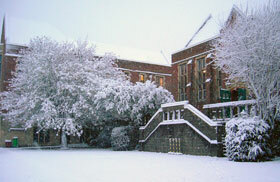 Follow the Bad Weather link under the ‘Parents’ heading from the top of the school homepage. Don’t forget, you may need to click your “Refresh” button to get up to date information. The special emergency telephone line (01297 446 838) will carry an updated recorded message from 8.00am conveying the current situation. There may be a queue to access this message and of course, the lines might be down. Information will also be communicated to parents via InTouch. For students who live in an isolated location and/or depend on public transport and there is a risk of their not being able to get back at the end of the day: STAY AT HOME. If the bus service does not run in the morning, assume it will not run in the afternoon. Therefore, if students manage to get into school in the morning via another means they cannot assume that the buses will be available to take them home at the end of the day and must therefore have alternative transport arranged. For students who travel by bus: WAIT UP TO TWENTY MINUTES AFTER THE USUAL BUS TIME AND IF THE BUS DOES NOT ARRIVE THEN GO HOME. PARENTS WHO ARE NOT USUALLY AT HOME ARE REQUESTED TO COME TO AN ARRANGEMENT WITH A NEIGHBOUR OR FRIEND THAT THEIR CHILDREN WILL BE TAKEN IN IF THEY ARE SENT HOME EARLY. For students who can safely walk to school: DO SO. A programme will be run according to staff availability – many, however, live ten to twenty miles away. Depending on conditions at the time we may have to make the decision to close the school and again students will need to be able to contact their parents so that they can arrange for access to the family home or for a friend or neighbour to take them in. Public Examinations must continue even if the school is closed. Candidates should make every effort to get to school but if this is not possible they must telephone the school as early as possible. Nobody gains by winter closure, since work has to be made up sooner or later and examination syllabuses must be completed before the deadlines. Keep some exercise books, textbooks and projects at home during the winter so that you can carry on with work or revision if school is closed, especially if you are Year 10 or above. Staff teaching senior groups will try to give details of work to be done in the near future.